My Turris Omnia arrived today! Looks like there's a stm32f030 (marked U21 on the schematic) that drives the LEDs with a custom firmware. I had to switch my country code under the LuCI interface at Network > Wireless > (radio 0/1) > Advanced Settings > Country Code. 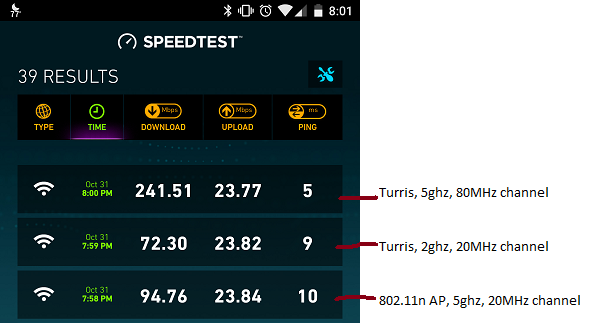 I setup both 2ghz and 5ghz and ran some speedtests on my Nexus 6P (supports 802.11ac 2x2). 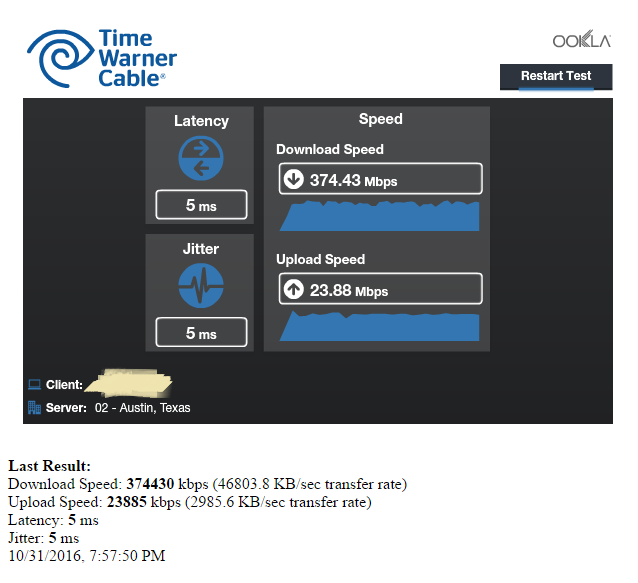 These wifi tests were done in the same room. LuCI was showing "-46 dBm signal / -101 dBm noise" and "866.7 Mbps" RX rate, which is the max for 2x2 80MHz wifi. I have 300M/20M internet, so this is a good result. There are headers with a variety of GPIO/SPI/UART/I2C pins. Because the default is to use knot resolver, the default *.lan hostnames from dnsmasq aren't available. 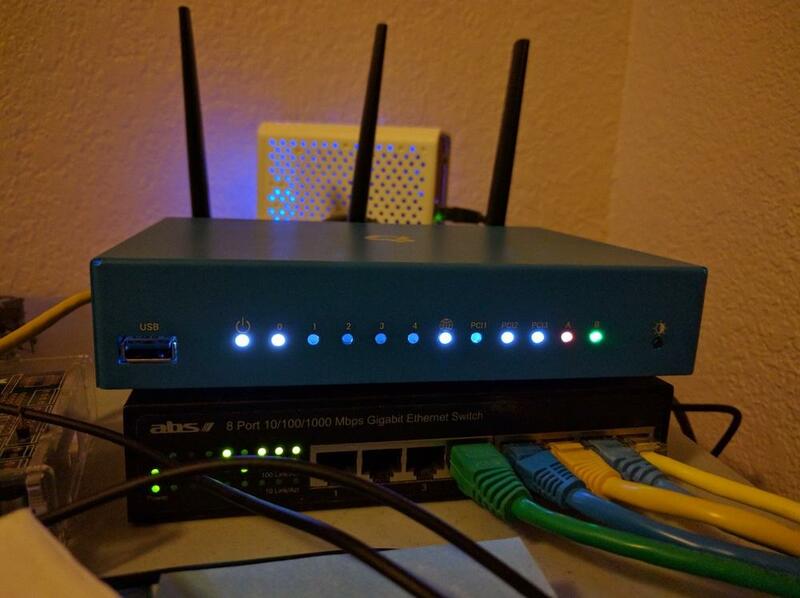 Upsides: 7GB free space on an openwrt router is luxurious, more rgb blinky lights = more better, uses about 7 watts, uses openwrt out of the box, 3x3 802.11ac hardware.